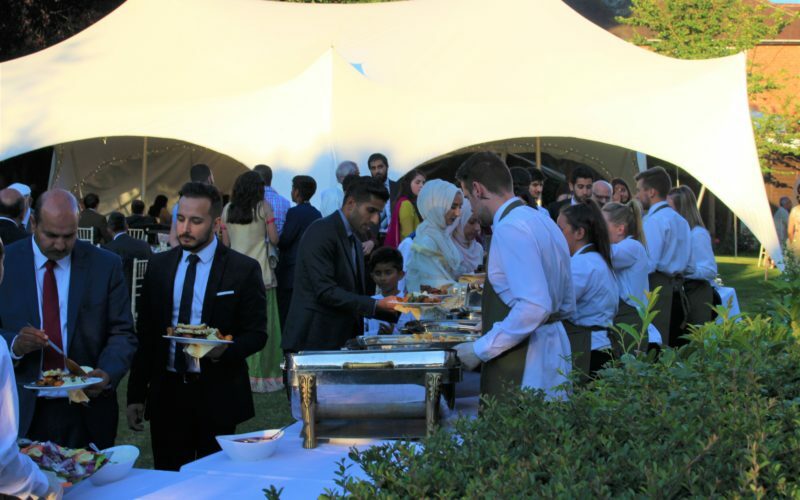 Pakistani cuisine is a refined blend of various regional cooking traditions of South Asia and it usually consists of a blend of Indian, Far Eastern and Middle Eastern cooking techniques creating a distinctive mix of complex flavours and is more meat-orientated. The influence of Pakistani cuisine also dates back to the 16th century, when the Mongol Empire began ruling, as this introduced the cooking style of Mughlai, which is typically characterised by the prominent use of herbs and spices, Almonds and Raisins, with Tandoori chicken being amongst the most popular. They extensively use pomegranate seeds in some meat dishes as it adds a sweet, sour note and reflects Middle Eastern influence. A famous Pakistani dish is Haleem, which is a mix of pulses, meat and spices that is slow cooked for up to eight hours and is served with lemon, coriander and ginger. As with most Indian cuisines, rice and wheat are the most common bases of Pakistani foods. 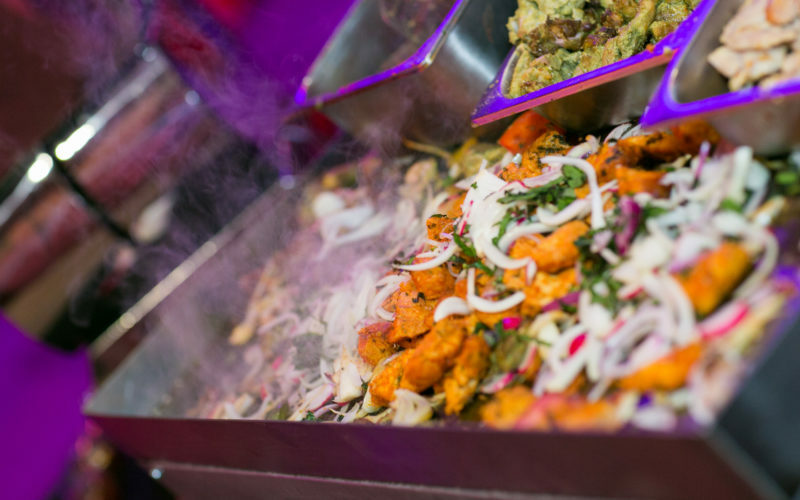 Pakistan is also the birthplace of the tandoor oven, which is predominantly used to cook a selection of the bread and is generally considered a bread culture, with it being eaten at almost every meal, from naan to Chapatis as well as Paratha and Puri. Pakistani rice is ranked as the best, with dishes like the classic Biriyani, a combination of spiced rice, with meat or chicken and often includes vegetables. A typical Pakistani breakfast locally called ‘halva puri’, consists of any form of eggs with a slice of bread or Roti, Kulcha with Chole as well as seasonal fruits. Breakfast is only complete with a sweet cardamom-laced semolina Halva and a hot cup of chai. A Pakistani lunch typically consists of a meat curry along with rice or roti. Whilst Daal Chawal is among one of the most common dishes taken at lunch, other popular dishes are Chicken Karahi and Aloo Gosht. 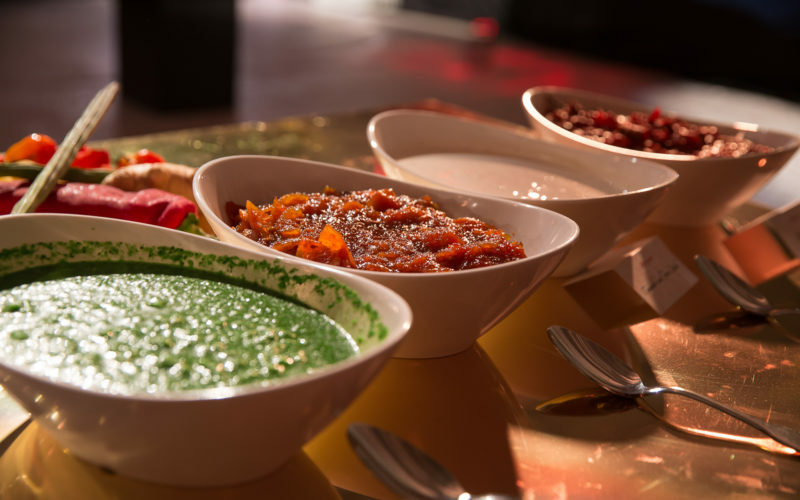 Dinner will have more savoury dishes such as biriyani, pulao, kofte, kebabs and even korma, as well as lentils a dinnertime staple all of which is served along with roti or naan, yogurt, pickle and salad. Pakistani street food can be anything from pakoras to samosas, biriyanis, chicken tikkas, kebab rolls and even fresh naans. 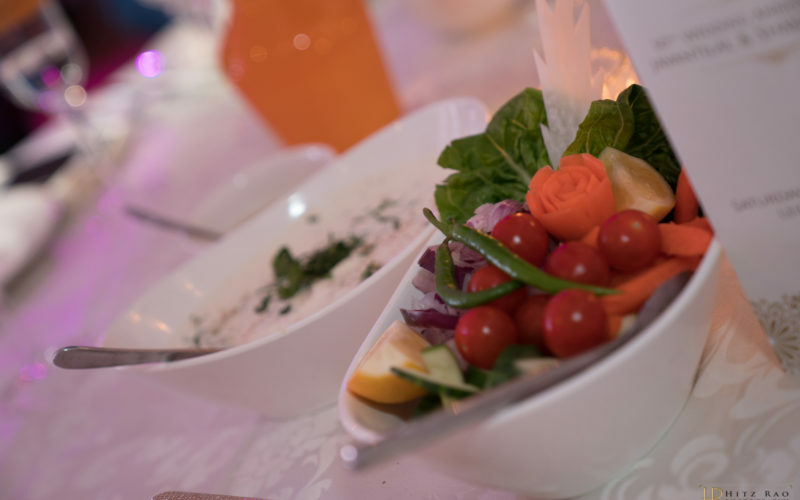 Although this cuisine is predominantly made of meat, most meals will also include cooked lentils and vegetables. 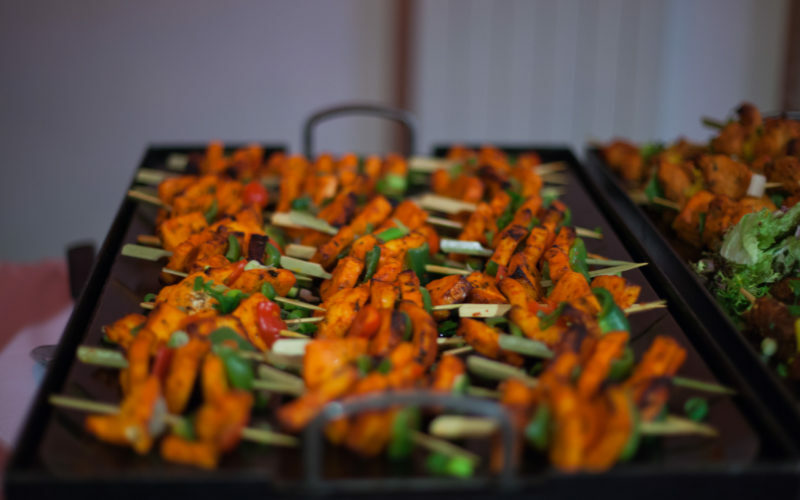 Grilled meat is often enjoyed by most, with Kebabs becoming a staple item in Pakistani cuisines such as Seekh Kebab, Chicken Tikka and Shami Kebab as some of the favourites. 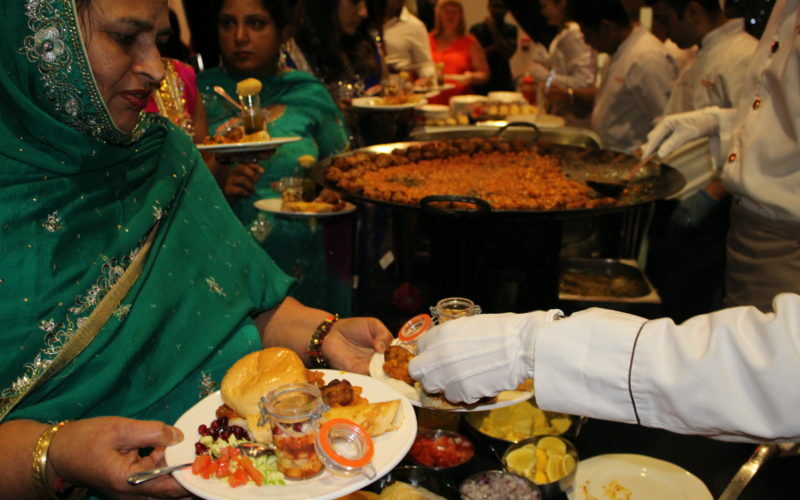 Dishes such as Korma and Nehari are amongst some of the more popular dishes enjoyed during special occasions such as weddings, dinners and parties. 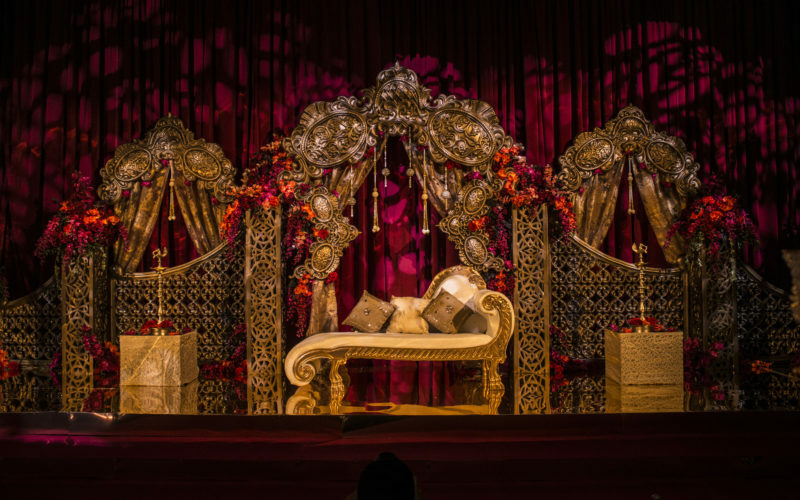 Weddings are also not complete without a variety of barbequed meats, slow-cooked curries and rich aromatic biriyanis, all of which are usually finished off with saffron, pistachios, mint or rose water. 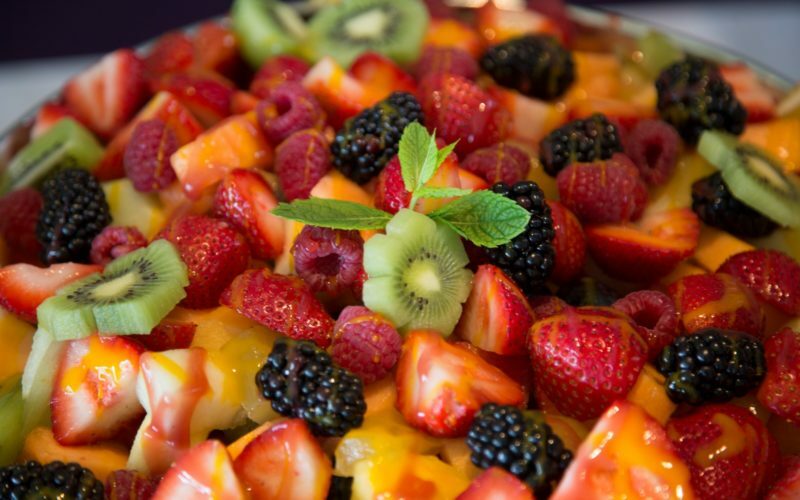 Our entire Pakistani menu made here at Sanjay Foods is Halal certified. Homemade triangular pastry filled with spiced minced Lamb. Minced Lamb marinated with mix tandoori spices, ginger, garlic and fresh coriander. Lamb Chops marinated in garlic and ginger yogurt and roasted in the tandoor. Lamb Chops marinated in yoghurt, spices and cooked in the tandoor. Chicken coated with a spicy gram flour batter. Chicken marinated with garlic, ginger and unique spices char grilled and cooked in a tandoor. King prawns stir fried in a Tandoori sauce and cooked in the tandoor. Cod fish marinated in fresh spices, and flavoured with ajwain. Chicken mince, floured with cumin and mace wrapped and cooked on a skewer then finished in a tandoor. Chicken marinated in creamy cashew nut, yoghurt and mild cheddar cheese paste finished in a Charcoal tandoor. Chicken marinated in Greek yoghurt flavoured with crushed black pepper, roasted in the tandoor. Chicken marinated with curd and flavoured delicately with Punjabi spices and fresh garlic. Mixed vegetables rolled in filo pastry then deep fried. Cocktail spring rolls served in shot glasses with sweet chilli sauce garnished with spring onion. Pieces of Indian cottage cheese marinated with Indian spices and deep fried. Pieces of Indian cottage cheese marinated with authentic spices, freshly fine chopped mint and spinach then cooked in the tandoor. Cottage cheese marinated with Greek yogurt, freshly squeezed lemon and spices, and then finished in a charcoal tandoor. Cubes of Indian cottage cheese flavoured with achari pickle and freshly ground spices, then finished in the tandoor. Fresh mushrooms deep fried and tossed with a chilli, ginger and garlic marinade. Authentic deep fried potato patties lightly spiced with fine chopped red onions and finished with coriander. 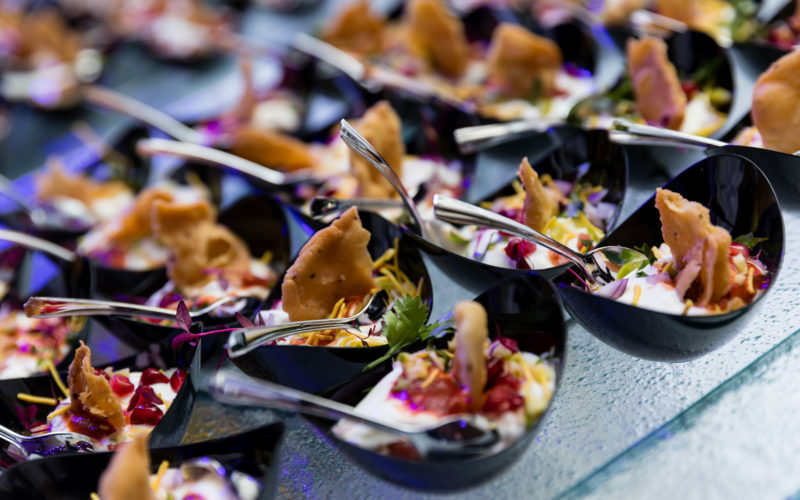 A crunchy combination of Indian crispy wafers (Papdi), boiled potatoes, white chickpeas, finely chopped red onion, and coriander, topped with Greek yoghurt then sprinkled with pomegranate seeds and fine diced raw mango. Finished with a drizzle of tamarind and dates chutney. Tandoori cottage cheese with mixed capsicum in a spicy onion and tomato curry. Fresh Okra cooked with tomatoes, onions, coriander, green chillies, garlic and our homemade spicy pickle. Classic Black lentils cooked on a slow fire with tomatoes, cream and clarified butter. Yellow lentils soaked and prepared with traditional Punjabi spices. Lamb marinated with herbs, spices, diced onions, capsicums and cooked in thick curry sauce. Lamb cooked with onion and peppers. 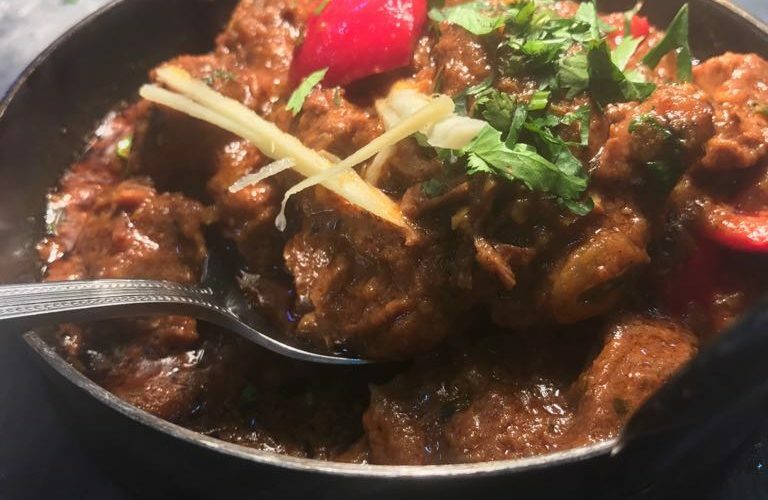 Lamb cooked with coriander flavoured curry. Tender lamb cubes, cooked with mixed peppers, onion and green chillies in a rich gravy. 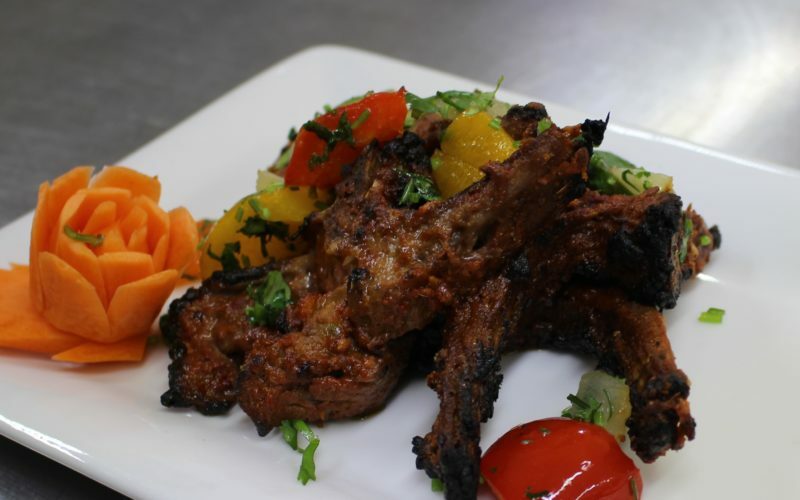 Succulent of lamb pieces freshly marinated in black pepper, chilli, ginger, garlic and chefs home ground spices. Lamb cooked in a lababdhar sauce garnished with peppers. Cubed chicken breast pieces cooked in a pickled spicy masala base sauce. Chicken cooked in a mild, creamy, sauce with authentic spices. Chicken cooked with butter, cashewnut paste and finished in a creamy tomato sauce. Chicken marinated over night with exotic herbs, garlic & spices cooked in our chef’s special. sauce. Chicken cooked in a chef’s hand-picked herbs, pineapple & almond apple sauce. Diced mix peppers, onions, green chillies, sautéed & cooked with kadai masala. Cumin flavoured basmati rice with tomato, onion and green peas. Rice flavoured with whole jeera. Steamed rice with green peas. Basmati rice infused with fresh lemon. Mixed seasonal vegetables mixed with curry base and basmati rice. Classic Lamb Biryani/Pilau in a bland of fragrant spices. Basmati rice cooked with king prawns and spices, flavoured with saffron. Classic Indian bread made from refined flour and baked in a clay oven. Classic Indian bread made from refined flour with fresh green chillies then baked in a clay oven. Classic Indian bread made from refined flour with freshly chopped garlic and baked in a clay oven, served with garlic butter. Classic Indian bread made from refined flour, mixed with black onion seeds and baked in a clay oven and drizzled with clarified butter. Classic Indian bread made from refined flour with a mix of garlic and baked in a clay oven. Classic Indian bread made from refined flour, prepared with almonds and pistachio and baked in a clay oven. Creamy Yoghurt with coriander garnish. Creamy yoghurt with cucumber and roasted cumin. Creamy Greek yoghurt with hand-picked cherry tomatoes and grated cucumber. Yogurt with fresh pomegranate seeds garnished with fine chopped coriander. A dish of sweet flavoured coloured rice. Milk cake sponges in a creamy milk syrup flavored with pistachio and almonds. 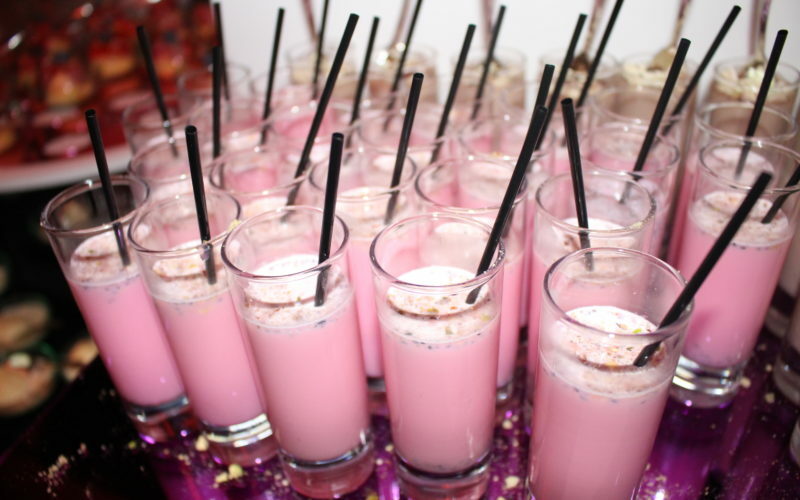 Rose syrup mixed with vermicelli and tapioca pearls along with milk, sugar and home-made ice cream. White milk cake balls in a flavored sugar syrup, served cold. A traditional caramelized sweet carrot dish garnished with almond and pistachio. Traditional Punjabi rice pudding, sprinkled with almonds. Crispy filo pastry parcels filled with a caramelized almond, pistachio and sugar mixture. Ice cream infused with fresh mango. Plain ice-cream infused with pistachio. Ice cream delicately flavoured with saffron. A nutty flavored ice- cream with a rich, fluffy and creamy texture. Tropical, Vanilla, Strawberry and Chocolate.